1. Buy bitcoin or ethereum. It’s easy to do on the well-known currency exchange Coinbase, you can also open there a wallet. Connect your own bank account or credit card, buy selected currency, but keep in mind that it needs to be done at least a week before the ICO, since such transactions involving traditional banks take several days. Also you should know that on the Coinbase commission for payment by credit card is higher than for the bank transfer (3.99% and 1.49%, respectively). If you are planning to store purchased bitcoins (Bitcoin) or ethereum (ETH USD) here, move them to the repository. In this case, we gonna give you recommendation: don’t use two-factor authorization with SMS (we will explain why later). 2. Transfer your bitcoin or ethereum to the wallet. The matter is that you won’t be able to take part in ICO using your account in the Coinbase. When you use a centralized service, unfortunately you don’t have your personal keys to the wallet address. 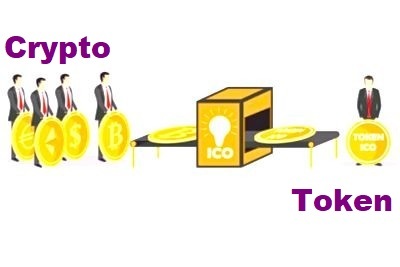 During the ICO, participants send their bitcoin or ethereum to the company, and the smart contract (computer algorithm, used to conclude and support commercial contracts in the blockchain technology) immediately sends the tokens back to the address. That’s why, if you don’t have your own private keys in the Coinbase, and you send the crypto currency – the tokens will come back to the account of the Coinbase, not yours. If decided to choose the ethereum, that is usually accepting during the ICO,you can use the My Ethereum Wallet service, create your personal new Ethereum key there and transfer the ethereum from Coinbase to this wallet. Another way, the Parity service, that allows, for example, to schedule a transfer at the exact time. This can be useful if you are going to be in time to the beginning of the ICO. If we are talkink about bitcoin,then a good wallet-controlled user service is provided by the Blockchain.info site. After you transfer your personal coins to the wallet, that you control, you will receive an address in the Bitcoin or Ethereum network and the associated private key. This means that you can receive the tokens, that you have purchased, to your own wallet. 3. Take part in the ICO by sending your currency to the address of company, that arranges it. The organizers of the ICO will publish an address for that funds are collected for a definite period of time. Make sure, that this is the real address! The whole Internet is full of scammers who are only trying to force investors to transfer funds to them. For example, the Coindash site was hacked exactly during the ICO. And scammers have stolen a 7.5 million of ethereum by simply changing the address of website to their own. It’s also possible to make a bet using a smart contract. For example, during the fundraising campaign conducted by the forecast market of Gnosis, there were fears that the ICO would pass very quickly, and people living in inappropriate time zones bets with smart contracts. The fact is that during ICO investors are trying to get to the top of the list, and they usually pay exorbitant fees for a quick transaction. And during the ICO Gnosis – these rates were collected in advance by special pools that bets at the certain time, thereby saving the money of individual investors, because the a high transaction commission was shared. In addition, thanks to smart contracts, investors did not have to trust people or institutions to get tokens. 4. Tokens came to you. Where to store them? If we are talking about significant amounts, it would be better to use an offline wallet – a special device without an Internet connection, that is designed for reliable storage of bitcoin, ethereum and other crypto-currencies. There are two the most popular hardware wallets: Ledger and Trezor. Connect the selected device to the USB port, then transfer your tokens to the selected address of the hardware wallet, and then disconnect it from your computer. Actually, you saved your tokens, and now they are safe. If you lose your hardware wallet, you can create it again using a “paper backup” a sequence of words. 5. What should you do if your hardware wallet does not support the type of tokens you need? Today, when almost all tokens follow the standard ERC-20 (the standard of the Token in the network Ethereum), such situation is a rarity. However, if you still have this situation, you can save these coins in encrypted text file on the USB drive. Then, disconnect it from your computer and hide it in a safe place, for example, until you need your tokens. And do not forget to print on paper the information, that is necessary to restore private keys. Another way is to store your tokens on the exchange. In this case, be sure to protect your funds with two-factor authorization. 1. Buy bitcoins or ethereum. Here everything is like in the first step described above. 2. Transfer your funds to the exchange, on which you trade the necessary tokens. Usually, the largest assortment can be found on the exchanges Kraken, Bittrex, or Poloniex. When the desired stock exchange is found, create an account there and get your own address. After that, copy it, go to Coinbase and paste this address into the submit field. In a few minutes later, your money will appear on the selected stock exchange. 3. Configure two-factor authorization, not tied to the phone number. This is very important, and it’s important not to use the phone number. Hackers repeatedly steal tokens from various people, both known on the Internet, and not at all known, including wallets on centralized exchanges. Usually, they convince the mobile operator that they own the number, and somehow get control over it. After that, all calls and messages begin to come to them, which mean that they can enter the code from the SMS and change the password, then steal your bitcoin or ethereum, and this transfer is irreversible. That’s why, you don’t need to use authorization over the phone – it would be better better to use Google Authenticator application, which creates unique short-lived codes for each service (or external device), for example Yubikey. 4. Exchange bitcoin or ethereum for the desired token. So, your tokens are stored in a centralized wallet with reliable two-factor authorization. Now you should find the required currency pair. Suppose you have bitcoins, and you are going to exchange them for REP (the Augur forecast market token, that was launched in August). Just select the desired quantity of tokens and, if you create a limit order, specify the quantity of bitcoins that are ready to pay for REP.
5. Save the purchased tokens in a reliable hardware wallet. If you don’t plan to trade, then transfer your new tokens into your own wallet, as it was described above. It would be better to put the USB drive in a bank safe, and safely hide the backup in another safe place.